Doctor Who is beloved series by many of its fans; however, many would argue that the series has been on a downward spiral. There are signs of improvement in the overall series, but there are a number of problems that continue to plague it. Recent episodes like “The Girl who Died” and “Before the Flood” are perfect examples that showcase where the problems lie. For those of you who are unfamiliar with the show, “Doctor Who” follows a Time Lord who goes by the name of “The Doctor” who travels in a space-time machine along with his companion. The Doctor belongs to a race of people called “Time Lords”, who are essentially humans with greater physical endurance, intellect, and an intuitive sense of what the most advantageous action is in a given situation – a form of precognition if you will. They have other abilities, but the ones mentioned above are the most prevalent in a typical episode. The Doctor (Left) and his companion, Clara (Right). See the difference between a Time Lord and a human? There isn’t really, most episodes. In recent episodes, Doctor Who has been dropping the ball time and time again. There is hope, but let me get into exactly how the quality of the Doctor Who series has been declining. There are two general facets to Doctor Who: the Doctor wins, and the companions don’t die. Therefore, the key to a good Doctor Who episode is how it balances the viewer’s suspension of disbelief throughout the episode. The resolutions of most Doctor Who episodes usually have a sort of “Deus Ex Machina” aspect – it comes with the sort of being The Doctor is. This suspension of disbelief has never been so consistently disrupted until recent seasons, largely due to its poor execution. The recent episode “The Girl who Died” is a perfect example of this, and offers a glimpse into the direction that Doctor Who is taking. I won’t go into too much detail about the content of the episode itself, but I will say that the resolution of the episode is a bit contrived. The climax of the episode is resolved when the Doctor defeats an elite alien warrior race with a scare tactic. That sounds fine and dandy, but in no way do the antagonists ever feel threatening throughout the episode. Ultimately, they fail to live up to their reputation as “elite warriors”. The battle starts with the warrior race raising the most pitiful-looking laser blaster ever – a sharpened toothpick would prove more intimidating. The weapon used by the antagonists. I’m sorry, but that weapon looks pathetic. 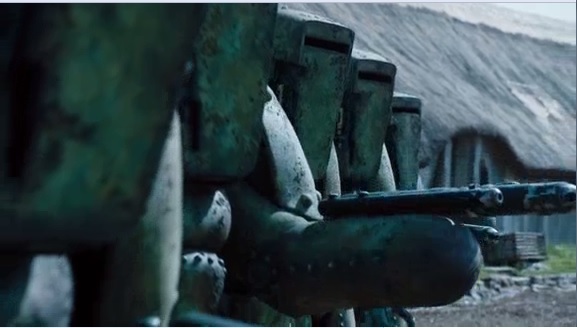 After being disarmed, the Alien warriors aimlessly stand there and wait for the humans to pick up their weapons. I don’t know about you, but I expect more from an elite warrior race. When the scare tactic commences, the Aliens are tricked into believing their weapons are ineffective and consequently retreat in dismay, disobeying their leaders. The threat of the warrior race was simply unbelievable, with its poor execution contributing to the disruption of immersion in the episode and unsatisfactory end. The above is just one of many examples of hyped antagonists that fail to meet expectations. Another example in the series is the antagonist in the “Before the Flood” episode that comes within seconds of killing the Doctor, before simply walking off, swayed by the lies of the Doctor about disrupting his machinations. And then, there are Daleks, an alien race that frequently appear as antagonists in the Doctor Who series. In one episode, Daleks are shown killing two main characters, but as everyone knows, there’s always some pomp and circumstance when main characters die. So of course, those characters are well and alive. Series 9 is riddled with poor plot execution. A weapon pointed at the Doctor (Left). The Doctor is left alone with the antagonist’s machine after the Doctor said he disrupted his machinations (Right). Why doesn’t the antagonist just shoot and then leave? I don’t know either. With all this being said, the Doctor Who series still has potential to regain its former glory. First of all, it’s nowhere near as baffling as what series 8 was.The writers have started to give The Doctor and Clara some much-needed character development. Series 9 does have a lot of interesting plots that are emerging; one such example is from the “The Girl Who Died” episode, where the Doctor disregards his “rules” and revives a character, rendering them immortal. He does this despite the potential backlash to the timeline – it will be interesting to see what route the writers take with this plot. Clara, his companion, is looking to become less of a bystander and more like The Doctor. She almost persuades the antagonist in “The Girl Who Died” to leave with just words and a threat. Clara is slated to leave the show at the end of the series – it will be fascinating to see how her recent character developments will tie into this. Will the Doctor leave her once he sees that she’s become too much like him? 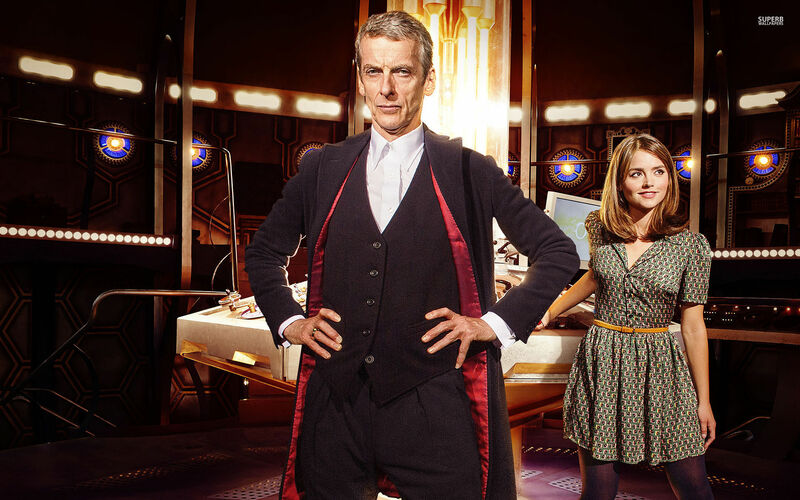 In any case, if Doctor Who can fix its recent struggles in plot execution and continue to build dynamic, three-dimensional characters, then perhaps it can make its greatest series yet.